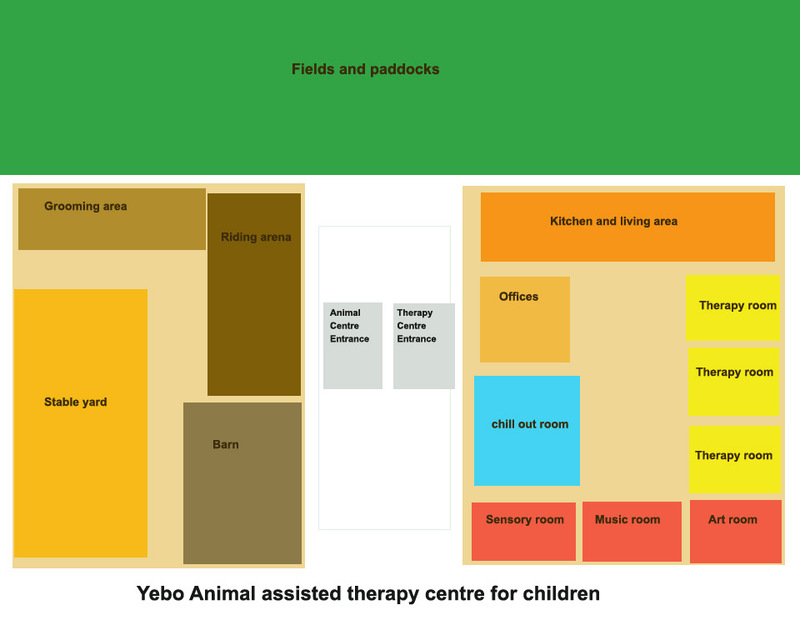 Yebo are currently putting out designs and fundraising media campaigns to make our Animal assisted therapy centre for children a reality. The centre will consist of 2 parts. The animal centre and the therapy centre. The main therapy centre aims to support children who have suffered berevament at a young age. This may be by a sibling or parent dying. The centre aims to be a very realxed and enjoyable one, where families and children can come and relax in the various rooms, aswell as the children being able to have therapy sessions by qualified therapists. Different types of therapy may include : Art therapy, music therapy and play therapy. The centre would also aim to offer families a chance to come for a day out, rather than focusing on a challenging day of just visiting a therapist. The animal centre is used as assisted therapy to the therapists who are working with the children, hence the name animal ‘assisted’ therapy. The children and families will have a chance to enjoy the animal centre which at present, will focus on ponies and all the different activities that can be done with them. Animals are said to have a calming and positive influence on people, and we aim to acheive this, as well as giving the children something to focus on and have fun. This will be a free service and act as continual support for children and their families who would otherwise have no other support through challenging periods of their life.